And so it begins, the steady, slow, and suspenseful drip of revealed artists for Iceland Airwaves 2014 has begun. Yes the festival is nearly still on the other side of the sun but names have been released and tickets are available. Just like last year, I will be doing blog posts on the Icelandic bands involved, as well as maintaining a page with links to all the Icelandic bands music. You can see the 150 Icelandic bands that played last year here. Iceland Airwaves is my favorite music festival of the year. Instead of having a field or pit with competing outdoor stages, the gigs are in actual venues spread throughout Reykjavik. You are surrounded by musical choices from early afternoon to the early morning of the next day, in cozy joints like the Kex hostel, underground bars such as Bar 11, and of course larger event halls such as Harpa. Yet you can stop to relax and take in the beautiful country you’re in at any time. And while you may think going to a music festival in Iceland is cost prohibitive, Icelandair nicely wraps up package deals with prices ranging from the budget minded to the luxury seeking. So, the first 17 bands that have been announced, The Icelandic bands announced are: Mammút, Samaris, Grísalappalísa, Muck, Snorri Helgason, Tonik, Vök, Just Another Snake Cult and Highlands. Bands from other parts of the world are: East Inda Youth, Jungle, La Femme, Jaakko Eino Kalevi, Tiny Ruins, John Wizards, and Blaenavon. According to the Iceland Airwaves website, there are two, yes TWO headlining bands. The Flaming lips have been revealed, but we’re all going to have to wait on baited breath for the reveal of the other. Typically band announcements get better and better as the year goes on, so starting off with this band really makes one wonder what the festival has up its sleeve. If you want to see my photos from last year’s festival you can go here. And if you would like to read all of my blog posts from last year’s festival go here. 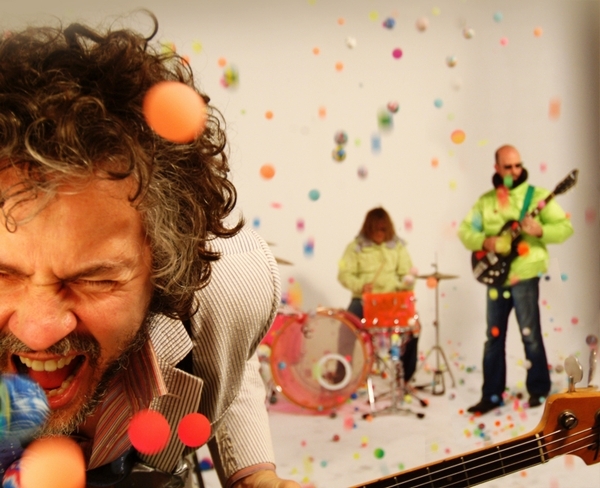 This entry was posted in gigs and tagged 2014, flaming lips, Iceland, Iceland Airwaves, Music, music festival on January 29, 2014 by ragnaarbastiaan. Bloodgroup’s musical legacy is over 7 years old. Starting out in 2006 in Egilsstaðir, they now have 3 self produced albums and have performed in North America, Europe and of course Iceland. Originally consisting of Lilja Kristín Jónsdóttir (vocals), Janus Rasmussen (vocals, electronic percussion, synths), Ragnar Láki Jónsson (synths and samplers), and Hallur Kristján Jónsson (synths and samplers.) Sunna Margrét (vocals) joined in 2010 replacing Lilja. It’s been said their name was a spur of the moment creation. Born out of quick thinking by Raggi when a radio interviewer needed their band name. And as 3 of them, Hallur, Ragnar and Lilja were siblings, the name fit. The new album, Tracing Echoes, was released in 2013. Much more heavy and dark, the album takes on a mature feel. Sunna’s ability to float over the dance beat now includes a substantial amount of haunting as well. Her vocals really come into their own on this album, strong but smooth, like a couple fingers of Johhny Walker blue. At Airwaves this year, they were joined by Þorvaldur Þór Þorvaldsson (Doddi) on drums. As stated before, I am a big fan of Doddi’s drumming, and it was awesome to see the live drum element into a dance bands set. Even the more downbeat pieces come alive during Bloodgroup gigs, and it’s rare to see any of them just standing by their instruments. Sometimes I think they rock out harder than the crowd. With flying hair, rocking synths and keys, they get the crowd into the music not only with the crazy layered beats, but lead by example. You can keep up with their musical shenanigans on their Facebook page and keep up with tour schedules on their website. They have a pretty extensive track list on Soundcloud as well. This entry was posted in Band and tagged Bloodgroup, dry land, Hips again, Iceland, Icelandic music, Moonstone, Music, Sticky situation, tracing echoes on January 25, 2014 by ragnaarbastiaan. 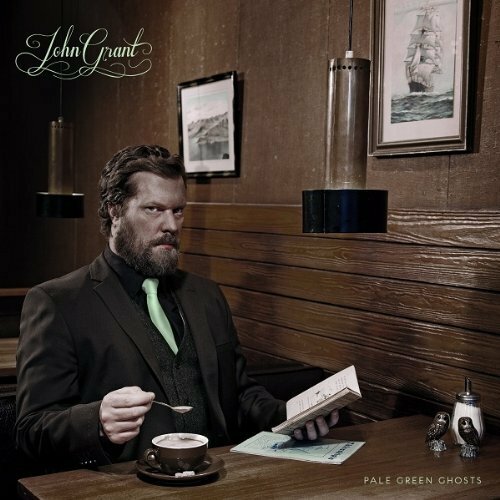 John Grant began in Colorado with the band The Czars. After the Czars ended and life was lived, Grant released his first solo album, Queen of Denmark. With the help of the Texan band Midlake, he laid down songs about his life, abuse, drugs and coming out in a not-so-comfortable environment. The album pairs it’s music and lyrics well, truly helping the listener feel, not just hear the songs. Songs such as”Marz”, with it’s gleeful roller coaster ride through the piano scale, makes you double take when you realize the lyrics are describing someone’s ideal post-suicide location. His second album, Pale Green Ghosts, is about heartbreak, his heartbreak. In line with Queen of Denmark, the lyrics are raw and powerful. We get a glimpse of the wild mouse roller coaster ride he went through -self-depreciation, hate, sadness and anger ooze out of the words as his baritone voice works inflection and emphasis as if they were keys on an emotional piano. There is little whining, just a lot of F-you’s and F-me’s which leave the listener not wanting to cry it out with Grant in a hugfest, but get drunk at a bar toasting all that’s rotten about love. 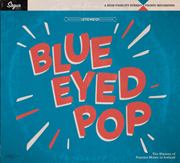 In the age of singles, it’s rare to hear an album this well crafted. Each song dutifully plays its part in the story while simultaneously living as its own individual piece. The piano scales are still there, and the dynamic production duo of John Grant and Birgir Þórarinsson of GusGus are able to encompass a wide range of synth. Some songs sounding like the current era, and some having more of a vintage 80’s electronic feel such as “Sensitive new age guy”, which sound like it was written on a beefed up Casio keyboard, certainly enforcing the rumor that Grant loves vintage synth. The last track on the album, “Gravity”, is a song every person coming to terms with themselves should hear. Sincere, well crafted and to the point- the song speaks to people who are told they are bad for being themselves. It addresses just how painful the hypocritical rationalization of people still clinging to the “hate the sin, love the sinner” dogma is to someone growing up, especially when that dogma comes from people who they love and respect. Growing up in a region close to Denver, and having watched the dominant religion tear young people apart this very way, it’s a song I wish a lot of kids my age could have heard. The first time I heard the track I have to admit it brought back sombre memories of individuals I wish would have heard it. Even if it means that sometimes you feel quite alone.” It’s not just an “It gets better” speech, it’s “here’s what I did, and what you need to do” advice from someone worth looking up to. The album more than deserves the attention it has been receiving. It made almost all of the top lists of the year from the journalistic music world, and made number 1 on Rough Trades top list. Most important of course, it remains on my most listened list in my iTunes. I truly enjoy both of the albums, but to me, Grant really shines in his live shows. I’ve seen him perform gigs with a full band at Harpa to the basement of a Hostel with only Pétur by his side. No matter the size of venue or number of people Grant’s Baritone voice, warm personality and cracking smile draw you in and make you feel at home. He’s not afraid to banter on about this and that before a song, and in the event of instrumental mishaps or delays his quick wit and charm more than entertain the audience until go time. The few times i have seen Grant live, Chris Pemberton, from the UK band Budapest played piano, and Pétur Hallgrímsson played guitar. Pétur is an Icelandic veteran who has not only done session work for a slew of global artists including Kylie Minogue, but was in two very popular Icelandic bands, Lhooq and E-X. You can learn more about John Grant on his website or Facebook page. And can purchase his albums pretty much anywhere music is sold. 1. What is your favorite off-venue Airwaves, or Icelandic joint to jam at? I suppose my favorite is KEX because it is so beautiful and the owners and the food are amazing. 4. If you could be any creature playing your favorite song, what would the creature be? And what is the song. I’d be an ocelot singing S.O.S. This entry was posted in Uncategorized and tagged john grant, marz, Music, pale green ghosts, petur hallgrimsson, queen of denmark, Review on January 15, 2014 by ragnaarbastiaan.